When planning a media strategy it’s well known that in order to communicate effectively with your audience you need to direct your efforts where your audience’s is focused. Historically, this may have been a combination of print, radio and television. Today, in the digital era, people are focused on social media. Recent surveys indicate there are now 2.789 billion active mobile social media users worldwide, and growing. However, the same old challenges of conventional media still exist in a digital world and determining the efficacy of your campaigns can be challenging. The more popular form of digital metrics used to assess social media campaigns include likes and shares. While website traffic is another commonly used, but both are incomplete. If you’re serious about using social media marketing to engage your audience, and drive long-term profits for your business, here are five additional social media KPI’s (key performance indicators) that are worth consideration in your process. How are people mentioning your brand, whether these mentions are generally positive or negative. To help with this, a handy tool exists called Social Mention to assess your brand’s mentions in comparison to your competitors. With Social Mention you can see how your brand stacks up against the competition, and then analyze the your competitors and see what they’re doing differently to you. Here’s how. 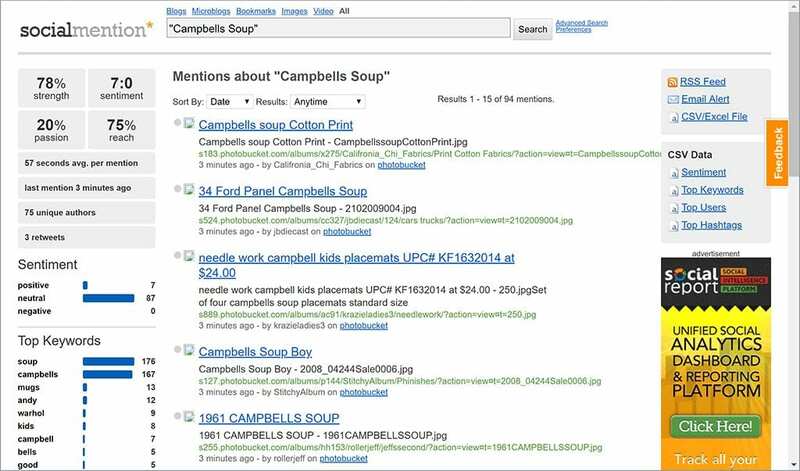 Log into Social Mention and then type the name of your brand in quotation marks in the search box. You’ll be able to see many useful metrics, most importantly – the percentage of positive, neutral and negative social media mentions about your brand. After which you can then further research your competitors and begin to build a share of voice database. These days, people expect to be able to engage with customer service issues with brands on social media and surprisingly research indicates that 78% of people who complain about a brand on Twitter expect a response within the hour. With this in mind, keeping a database of customer problems that have been resolved via social media, can turn helpfulness into a measurable KPI. Analyzing consumer questions could indicate a problem with your products or services, the more customers you can help using social media – the better. Likes and shares are useful metrics, but comments are more indicative of emotional resonance. To facilitate and encourage comments, it’s important to post high quality, engaging content that people can’t resist voicing their opinion on. While taking a firm stand on a particular issue, you may both alienate some people and elicit a strong response from others. Both sides love to comment, and your chances of going viral increases. While focusing on social media marketing it’s important to remember that your social media strategy must also address the percentage of people who arrive at your web site as a result of your social media executions referrals or emails. Understanding the percentage of social media traffic of your competitors you can begin to create industry benchmarks and emulate the most successful brands. Similarweb breaks down traffic sources for any competitor and enables you to view data for which social media channels are performing best. One of the basic premises of social media marketing is aiming to provide value to your audience through useful and entertaining content, rather than going for the hard sell. With that being said, sales are the lifeblood for any business. If you don’t eventually turn your engaged social media followers into paying customers, your social media efforts will be wasted. It’s good to record the click-through rate for your social media posts and overall website traffic – but be sure to monitor the number of people who are visiting your site from social media who eventually convert (by signing up to your email list or making a purchase). With Google Analytics, you can track practically every website conversion goal – this will enable you to measure the long-term ROI of your social media campaigns.